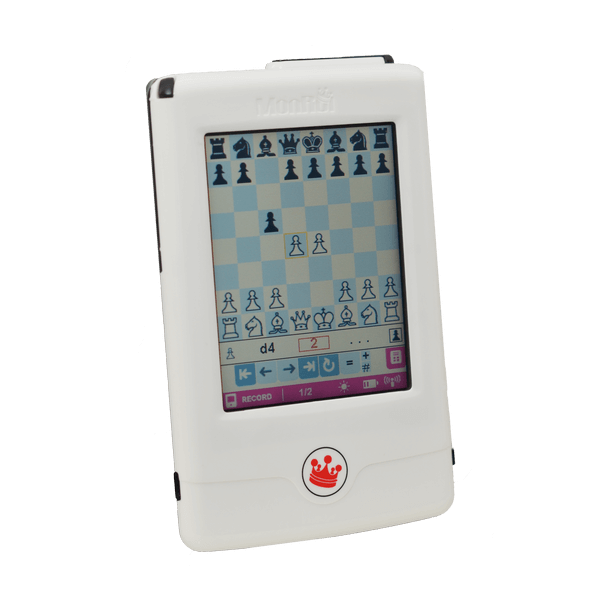 Personal Chess Manager (PCM) is a handheld electronic device which enables chess players to electronically record, store and view their games during the match or any time later. Personal Chess Manager (PCM) is a part of patented MonRoi system for chess games real-time recording and monitoring. Personal Chess Manager uses pictorial symbol or algebraic recording, allowing a user to record chess games, to review chess games instantly, and to upload and download chess games from a computer. Simply plug in the MonRoi SD memory card to transfer your games to a computer for further analysis. 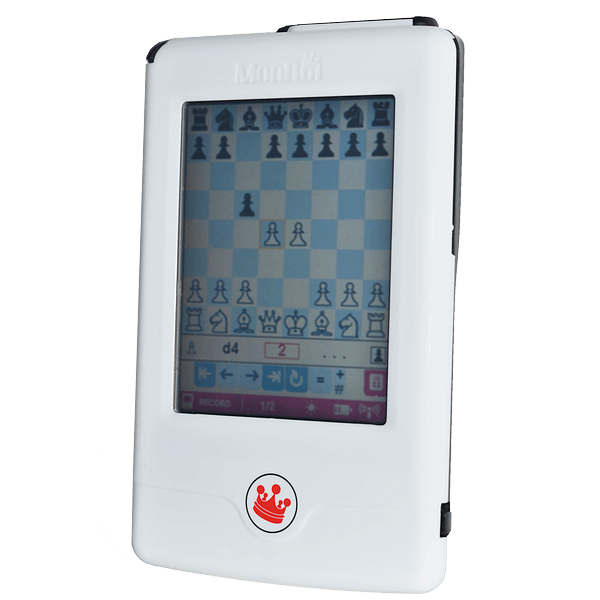 MonRoi’s PCM is:Personal Chess Manager uses pictorial symbol or algebraic recording, allowing a user to record chess games, to review chess games instantly, and to upload and download chess games from a computer. Simply plug in the MonRoi SD memory card to transfer your games to a computer for further analysis.